Today, I am bringing you an original pattern. Or long story short....inspired by cold. 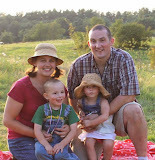 We love to warm these up to send to bed with our kids. Who wouldn't want to be toasty warm under the covers with a warm rice bag? It, of course, has a little upcycling. The backing and insert are made from an old sheet. 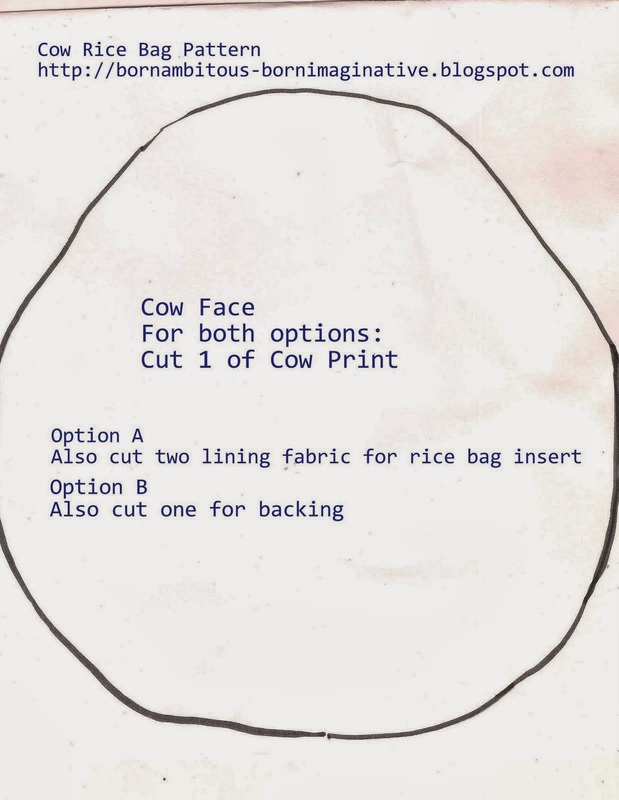 Given someone I know has an intense love for cows, I thought I'd make him a custom rice bag. 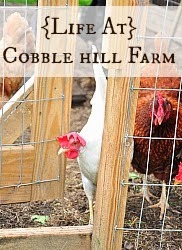 Three page pattern to print here. 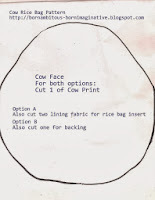 A) Make a rice bag insert and a separate cow patterned slip cover to go over the rice bag (easiest for washing). 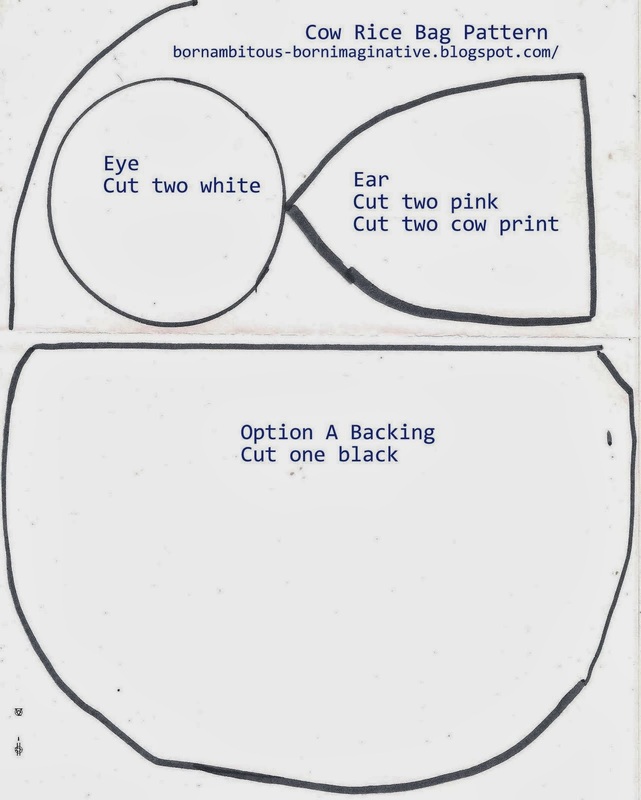 b) Make the cow pattern into a beanbag (fewest # of steps). NOTE: Seam allowances 1/4 inch for cover, 5/8 inch for rice bag insert. 2) Pin and applique nose onto face. 3) Use a satin stitch (long zig zag with short length) to applique nose and mouth. 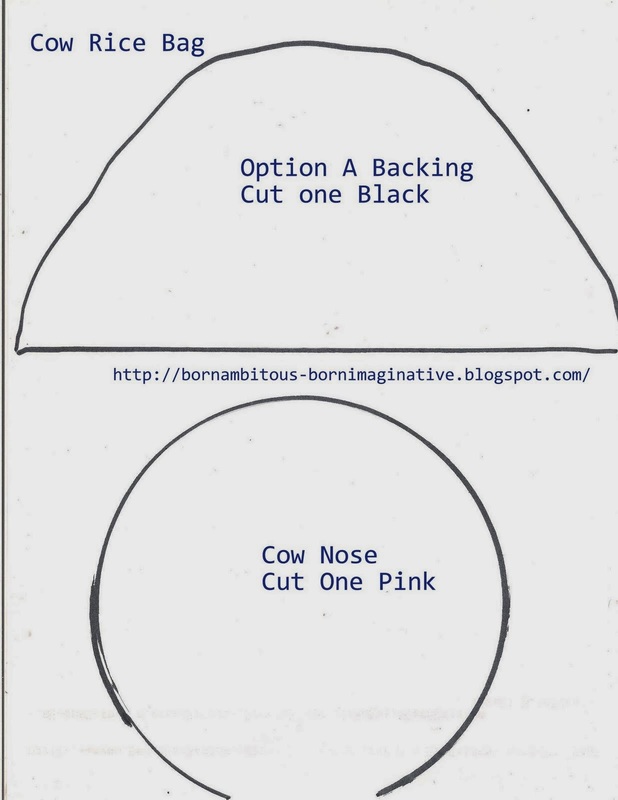 4) Place pink and cow print ears right sides together. Stitch two lateral sides of triangle together. Turn right side out, press. Make an accordion fold along the ear, baste along edge. 5) Pin ears to cow face. Baste in place. 6) Baste along edges of both circles. 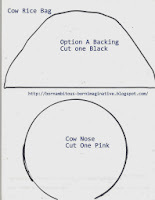 Pull loose threads so the edges pucker to form a circle.Pin to cow face. Hand stitch in place. Use satin stitch to make eyeballs in the white's center. 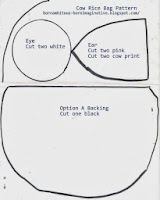 8) Pin both pieces of backing to cow face, overlapping folds for option A. Stitch along entire outer edge for option A. For option B, pin face to the backing, right sides together. Stitch along edge, leaving a two inch gap. For both options, turn inside out and press. For option B, finish by filling with rice and hand stitch to close. 10) For option A, make the rice bag by placing two pieces right sides together. Stitch with 5/8 seam allowance all except 2 inches along outside seam. Turn right side out, fill with rice, hand stitch to close. 11) How to insert ricebag into cover for Option A.
I hope you'll make one too! If you do, show me! I'd love to see! Adorable!! I'd like to try this, but I know mine won't be as cute! Soooo cute! I'd like a cow one as well :) I've never had a rice bag before but I love the idea! I'm always cold when I go to bed lately so this would be awesome. I adore this. My goodness woman, you are creative! !